If you thought this would be about painting our new kitchen, sorry to disappoint you. We aren't there yet. Actually, Tom took off to take the girls skiing on a recent Saturday, and since I was going to stay home with the baby, I was going to have my own breed of fun. I've had some empty canvases sitting around my craft room for a long time. It was time to put them to use. 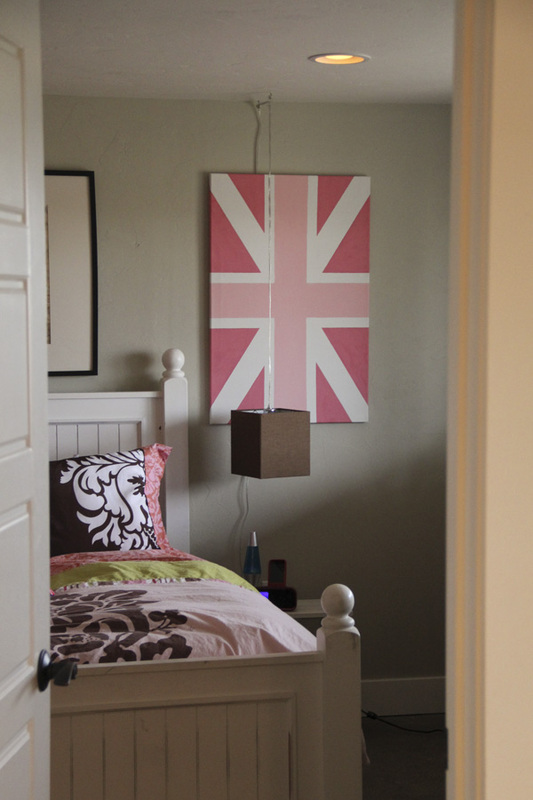 For Abby's room I painted a Union Jack flag. In pink, of course. Why pink? Because I saw one online I liked. And it matches her room. Why Union Jack? Because it's iconic and brings back good memories of our trip there and reminds us of Abby's sweet cousins that live there. Why not? In the bathroom I finally hung these funny little vases from CB2 that I purchased ages ago. I hung them from 3M Command hooks and thought I was being really smart until the girls took a shower in here and one came crashing to the floor and shattered. Apparently the humidity wasn't good for the adhesive. Or something. I'm glad I know where to get another one. 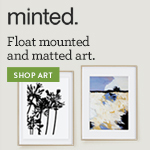 The green tied in to the green in the little paintings I made for the cabinet. It's fun to finally put some decor up in our basement. I don't sit down and craft very often, and it was a fun way to spend a Saturday!